With the advent of the blog, more and more people are looking for better ways to make their unique WordPress featured image. There are so many tools we can use to make such featured image. Now I will recommend you an all-in-one graphic tool to you to make your WordPress featured image. It is FotoJet. Previously I have written a post about Best 10 WordPress plugin of 2016. The edit mode of FotoJet can give you the way to make a featured image. You can add some text and clipart to your own image. The details will be shown to you step by step. Open www.fotojet.com, click EDIT or Edit a Photo enter edit option, here you can custom your WordPress featured image. 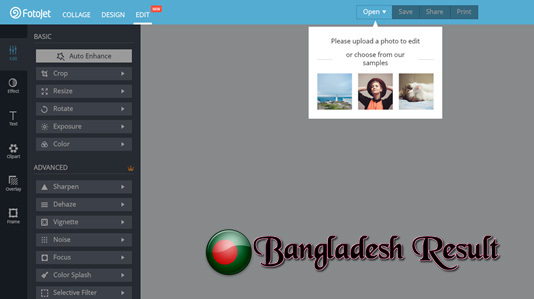 After you entered it, there are two ways for you to upload your image. You can upload it from your Facebook or from your computer by clicking the Open button on the top bar. Or you can play with sample images ahead. As long as you upload your image, you can get started you edit it. 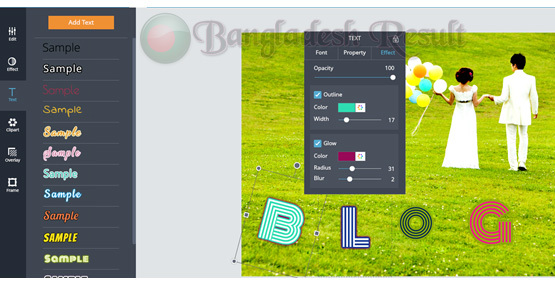 There are some basic options you can use, such as crop, resize, rotate, exposure and color. Just have a try, and edit the image to the one you like. Now, let start to add text and clipart. Move your mouse to Text, there are plenty of sample text you can use. Click the one you like, the edit box will add to the image, you can type your words in now. After that, you can make some adjustments to your text. Drag it to the right position; change its color, size, and opacity. What’s more, you can add outline and glow to it. Just play with this powerful option, I believe you will love it. The way to add clipart is similar to add text, so just play with them. Also, you can add effect and overlay to beautify your image. It’s all depending on you. There are many pretty effects and overlay you can use, click them to preview and click the Apply button when you decided to use them. Hope you will enjoy them. 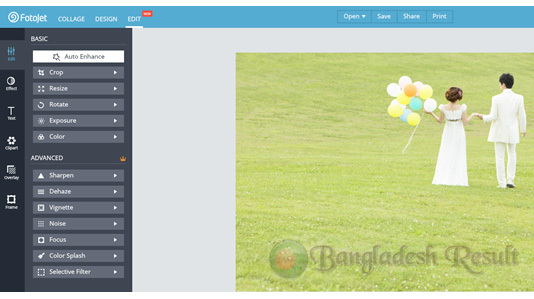 Now, your WordPress featured image is finished, just save it to your computer or share it via your social platforms. if you have any question about Make Stunning Featured Image of WordPress with Fotojet, Plese feel free to give your feedback in comments.